Beyerdynamic has a network of authorized dealers in Europe which follows our standards of high quality products and best customer support. All beyerdynamic products purchased from authorized dealers will be covered by our warranty and the guarantee of buying a genuine product. 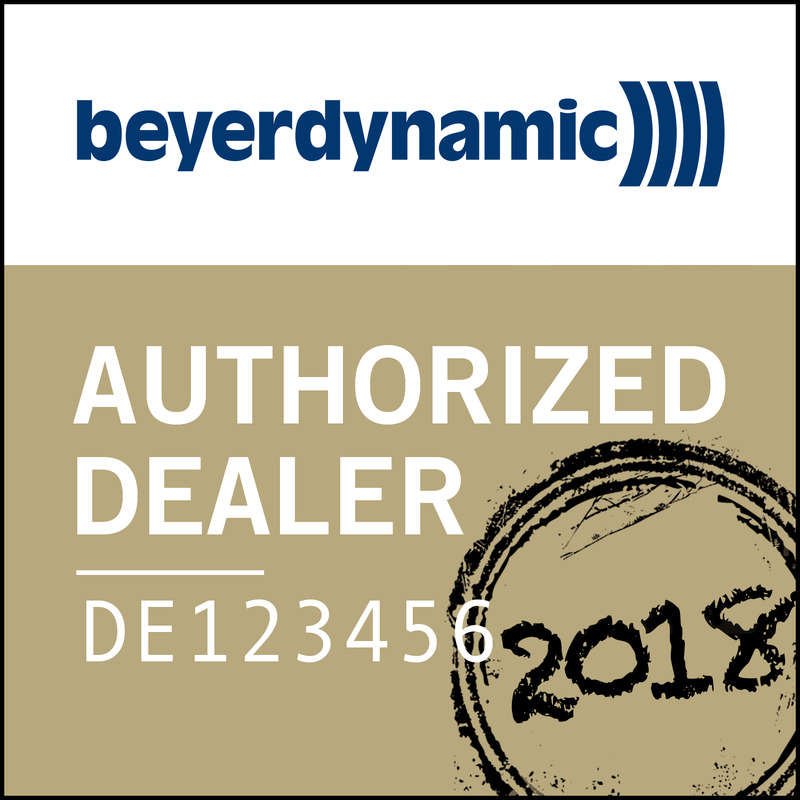 If you want to know whether your choice of a dealer is one of them, look for our “Authorized dealer logo” on their website or check our list at www.beyerdynamic.com/distributors. For a double check you can also contact our support team via retailservices@beyerdynamic.de to ensure buying from an authorized dealer. When you see this logo on a dealer’s website simply click on it and you will be forwarded to our dealer list and the status of the dealer. Unfortunately beyerdynamic has no perfect solution for avoid counterfeiting completely, but we do our very best to help customers identifying our products as genuine or fake. We try to eliminate the possibility of dealers which sell these counterfeits, but it is hard to control the big world of online business. We advise you to be vigilant on unusual offers and the big range of platforms and be aware of this possibility. We assure you to receive a genuine product including the high standard of support and after sale service. You can expect an original and new product which meets our specifications and quality standards, no matter you bought online or in a shop. Beyerdynamic takes special care of our authorized dealers and supports them with the access to our latest product information and helps in case of problems. Buying safely from Amazon, eBay, etc. Although Amazon themselves has the authorization to sell our products, there are some dealers who sell through amazon and are not part of beyerdynamic’s authorized dealer network. We kindly ask you to have a look at the dealer information and if e.g. the address is missing, we strongly advise you to choose another offer. Beyerdynamic’s warranty is only available for products purchased within the authorized dealer network and for each customer complaint the source will be checked before processing the repair or warranty replacement. If you are in any doubt about any dealer selling beyerdynamic, please ask us first. We will be happy to help in any way we can. Purchased via a grey secondary market (often from outside Europe that will not have warranty cover). Damaged, defective or so-called “B” grade stock. We strongly advise our customers to think twice before buying products where the price appears unusually low. This can be an indication for an unauthorized source.